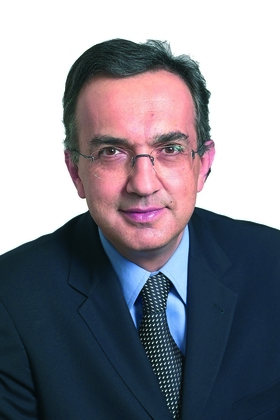 Marchionne: First Chrysler; next Opel? . FRANKFURT (Reuters) -- Fiat CEO Sergio Marchionne, who forged an alliance with Chrysler two days ago, will meet on Monday with members of the German government to talk about an offer to buy General Motors’ Opel unit. Marchionne will meet with German Foreign Minister Frank-Walter Steinmeier and Economy Minister Karl-Theodor zu Guttenberg, a spokesman from the foreign ministry said Saturday. German magazine WirtschaftsWoche cited sources close to the negotiations as saying Fiat S.p.A. had already made an offer for Opel of under 1 billion euros ($1.33 billion), which GM considered too small. The report said it was not clear if the original offer had since been improved. A spokesman for Fiat declined to comment on the report, and GM could not be reached for immediate comment. Fiat is set on acquiring Opel after it struck a last-minute deal to buy an initial 20 percent of Chrysler LLC on Thursday, just ahead of the deadline imposed by the Obama administration to cement a partnership. GM is shedding assets such as Opel as it tries to avoid following Chrysler into bankruptcy. The world’s second-largest automaker faces its own June 1 deadline to convince Obama’s auto task force that it merits about $15 billion in U.S. aid beyond the $15.4 billion already received. The reported 1 billion euro offer for Opel is significantly higher than figures in earlier media reports, which said GM could sell Opel and UK-based Vauxhall at no gain, with a potential investor paying at least 500 million euros in equity. Fiat may, however, have to contend with an offer from Canadian auto-parts maker Magna International Inc., which has shown interest in Opel. Zu Guttenberg said on Tuesday Magna had presented the rough outlines of a rival offer to seize Opel. This offer was toned down, however, after Magna founder Frank Stronach said in an interview with Austria's Kleine Zeitung on the following day that it wanted to help Opel but it was too early to say what role it would play.